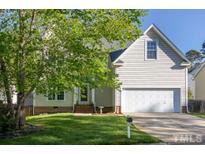 Below you can view all the homes for sale in the Harrington Grove subdivision located in Raleigh North Carolina. 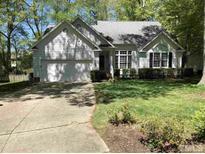 Listings in Harrington Grove are updated daily from data we receive from the Raleigh multiple listing service. To learn more about any of these homes or to receive custom notifications when a new property is listed for sale in Harrington Grove, give us a call at 919-928-5027. Fully fenced back yard and large deck and patio area. Call today! MLS#2249400. 3770. Neighborhood includes parks,trails & optional amenities. 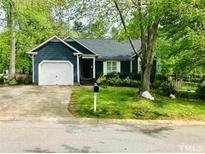 MLS#2249378. 4662. One-car garage with additional parking pad on the side of driveway. Close to RTP and RDU. MLS#2249423. 2731. Storage shed stays. Transferable AHS warranty! MLS#2249077. 2795. Excellent schools and central location make this home a must see! Call today! MLS#2246913. 3770. Easy access to I-540 and 40. MLS#2244513. 3300. This neighborhood has a true sense of "community" hard to find in today's fast paced world! MLS#2245857. 1709. All of this in Raleigh's favorite n'hood, Harrington Grove! ! MLS#2244881. 5019.
; beautiful hardwoods in dining room, office & kitchen, well appointed bedrooms w/ ample closet space; large 4th Bedroom currently serves as bonus/playroom, xtra storage in garage, spacious/level yard w/ oversized deck, community w/ sidewalks, playground & walking trails and pool/tennis memberships available! MLS#2240535. 297. Neighborhood includes parks, walking trails & optional swim/ tennis. MLS#2240808. 3293. Recreational courts and a community pool are part of the HOA. MLS#2230191. 4823. North Raleigh location is prime. MLS#2173293. 4276.